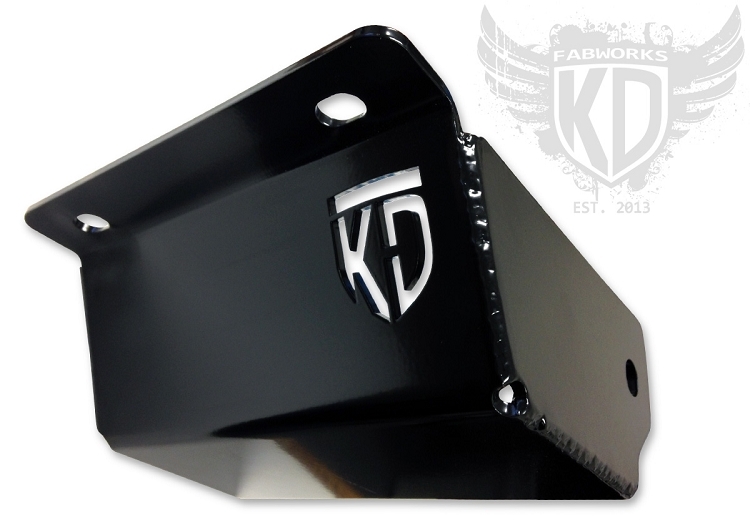 Protect the vulnerable steering box on your 97-06 Wrangler with a steering box skid plate from KD Fabworks. Laser cut from 3/16" steel for precision and great looks. 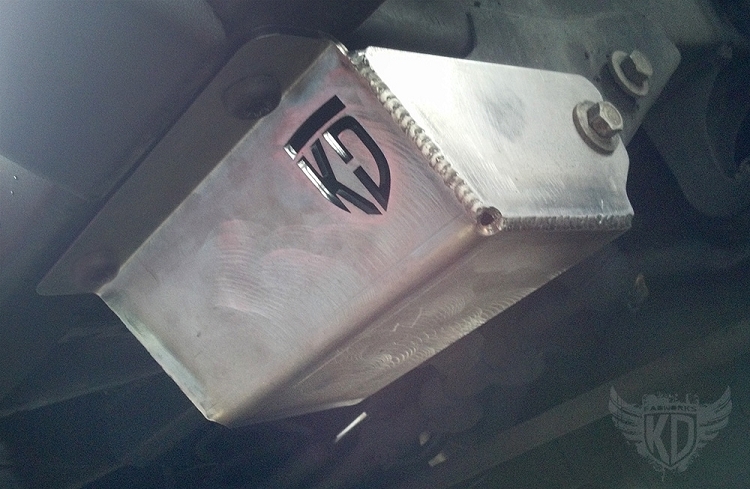 The skid mounts using factory hardware plus an additional included stainless 1/2" button head bolt. 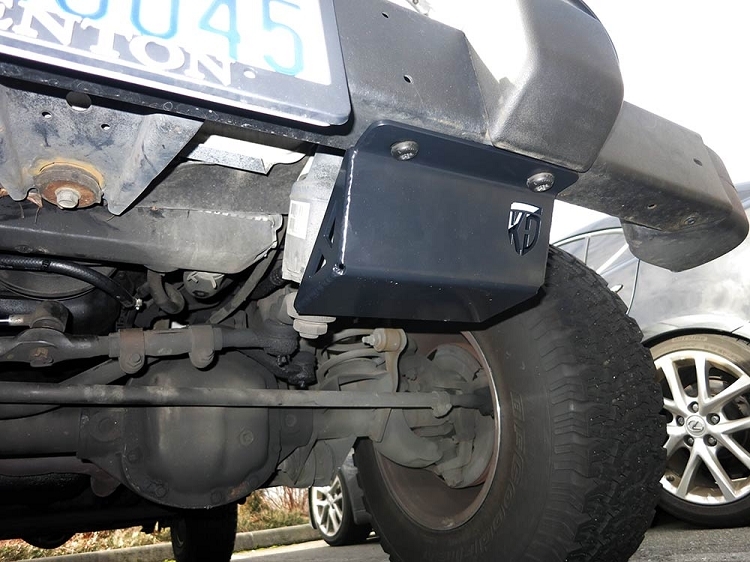 KD Fabworks bumpers come predrilled for the additional mounting point, so some drilling may be required if you have a stock or other aftermarket bumper. Available Raw, Powder coated Semi-Gloss Black, or a Textured Low Gloss Black. 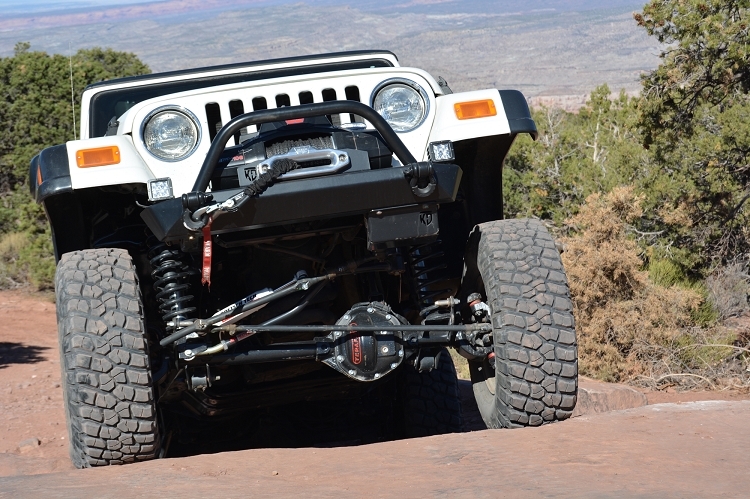 I really appreciate the fact that the front bumper I bought was already designed to fit the steering box skid. 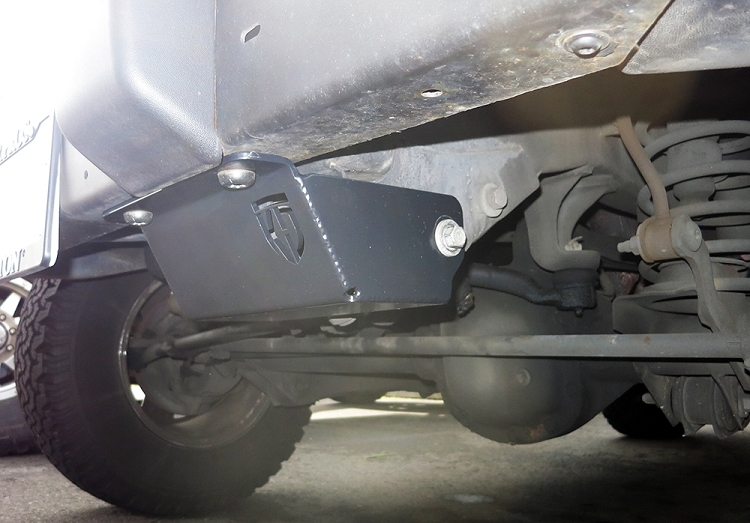 The skid is very heavy duty and fit perfectly. One less concern on the rocks. Great customer service! Received this product super fast. Packaged nicely and looked super clean. First impression is I like it better than most with the style and design. Install was a breeze. Lined up perfectly. I plan to buy your bumper in the very near future.